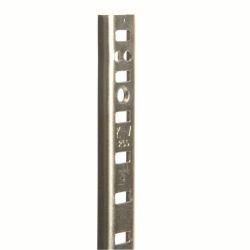 High-strength steel 18" mortise-mount pilaster standard features 1/2" vertical slot adjustability and countersunk nail, screw and staple holes. 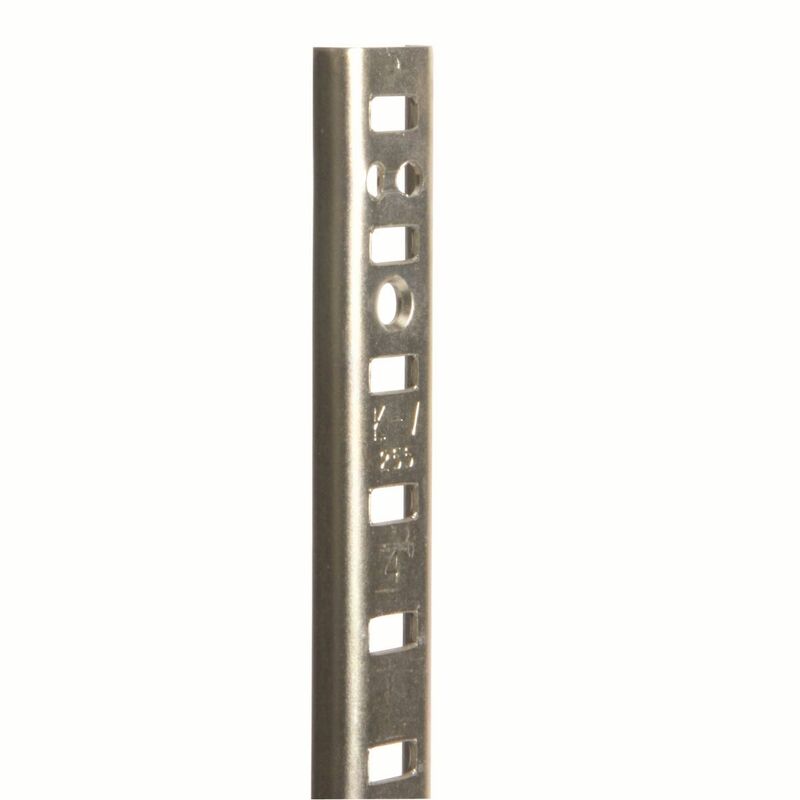 Numbered slots provide quick, accurate clip insertion. System holds up to 500 lbs. per shelf when properly installed. Can be installed on the surface or made flush with the wall or cabinet by making a dado cut. BHMA Grade 1 compliant.